"Nanomanufacturing sounds great, but it really has to be scalable," said Venkat Selvamanickam, MD Anderson Chair Professor of Mechanical Engineering. "You have to be able to control the quality." 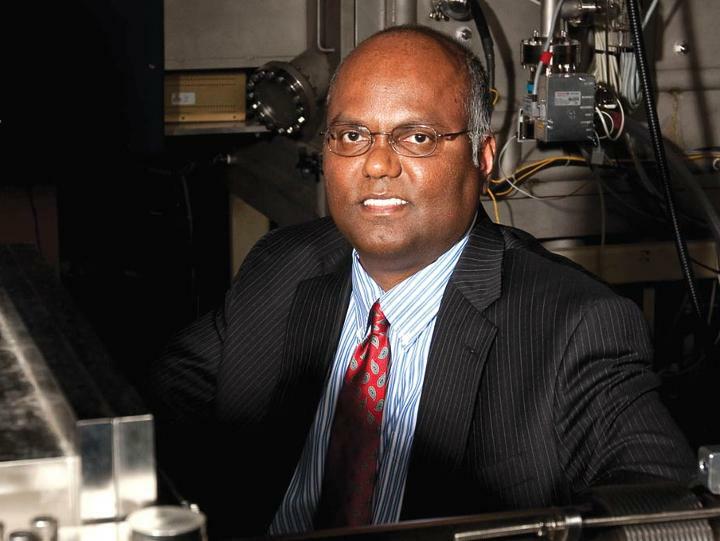 Selvamanickam is working with Nanomanufacturing Systems for mobile Computing and Energy Technologies (NASCENT), a multi-institution partnership led by the University of Texas at Austin, to develop the new tool, which will adapt Raman Spectroscopy and X-ray Diffraction for use with roll-to-roll continuous manufacturing processes. The work will be done under the auspices of the UH Advanced Manufacturing Institute; UH will receive about $340,000 from the National Science Foundation for the project. One of the world's leading experts on manufacturing superconductors, Selvamanickam oversees manufacturing activity at the University's Energy Research Park, including the advanced manufacturing of high-performance superconductor wires for next-generation electric machines. He is also director of the Applied Research Hub at the Texas Center for Superconductivity at UH and manages the Advanced Manufacturing Institute, an umbrella organization designed to help researchers make the leap between discovery and commercialization. NASCENT, an NSF-funded Engineering Research Center, addresses issues limiting high-volume nanomanufacturing. Selvamanickam said one critical problem is ensuring quality control during the manufacturing process, rather than waiting until the device or product has been produced to check for imperfections or other problems. The goal is an innovative tool that can provide continuous monitoring as production rolls past. "The challenge is, can you detect imperfections at fast speed and good resolution?" Selvamanickam said. "You can't be spending minutes examining the material, because the material is flying by at high speed." To work, the tool will have to detect imperfections within seconds or less. Selvamanickam's lab currently produces solar cells, flexible electronics and superconducting wires using roll-to-roll manufacturing, the same process NASCENT is pursuing. While the tool initially will be tested on the manufacture of common semiconductors, including silicon and gallium-arsenide, Selvamanickam said it will then be adapted for additional materials.